In her flat in north London, Iona Kirkpatrick sets to work on a new project translating a collection of letters and diaries by a Chinese musician. With each letter and journal entry, Iona becomes more and more intrigued with the unfolding story of two lovers: Jian, a punk rocker who believes there is no art without political commitment, and Mu, the young woman he loves as fiercely as his ideals. Iona cannot possibly know that Jian is mere miles away in Dover, awaiting the uncertain fate of a political exile. Mu is still in Beijing, writing letters to London and desperately trying to track Jian down. As Iona charts the course of their twenty-year relationship, from its early beginnings at Beijing University to Jian's defiant march in the Jasmine Revolution, her own empty life takes on an urgent purpose: to bring Jian and Mu together again before it's too late. 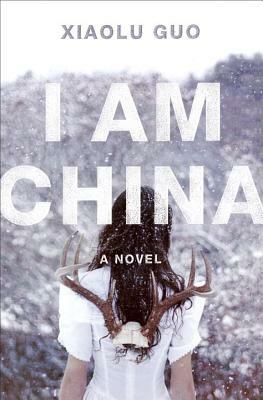 XIAOLU GUO published six books in China before moving to London in 2002. The English translation of Village of Stone was shortlisted for the Independent Foreign Fiction Prize and nominated for the International IMPAC Dublin Literary Award. Her first novel written in English, A Concise Chinese-English Dictionary for Lovers, was shortlisted for the Orange Broadband Prize for Fiction, and Twenty Fragments of a Ravenous Youth, published in 2008, was longlisted for the Man Asian Literary Prize. She is also a successful filmmaker of feature films, including She, A Chinese and UFO in Her Eyes, and documentaries; her work has premiered all over the world. She was named as one of Granta s Best Young British Novelists in 2013."